The Historic Environment Team of Cheshire County Council, in partnership with English Heritage, carried out a survey of the archaeological potential and historic development of 37 historic towns of Cheshire, Halton and Warrington. The survey was divided into three phases - data gathering, assessment and strategy. 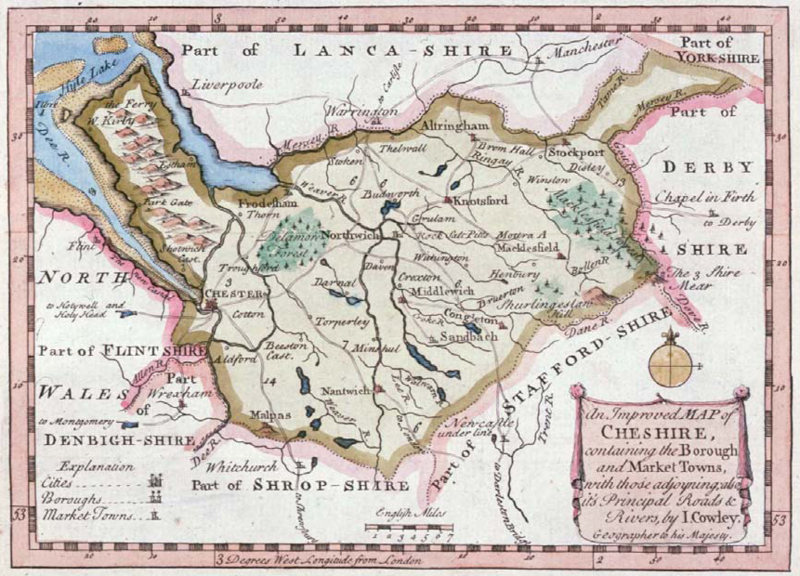 During data gathering a wide range of sources were examined, collated and entered on to the Cheshire Historic Environment Record Database. This data was assessed and used to write a component based summary of the history and archaeology of each town. Finally a strategy for the protection of the historic features of each town was devised, identifying, where possible, an Area of Archaeological Potential based on the assessment. The strategy reports are intended to act as Supplementary Planning Documents to the archaeological policies in the Local Development Framework. They include a defined Area of Archaeological Potential consisting of one or more Archaeological Character Zones.